HANGZHOU, April 22, 2014 - Residents walk past empty goods shelves in the Zhaohui outlet of Walmart Stores which is to be closed in Hangzhou, capital of east China's Zhejiang Province, April 22, 2014. 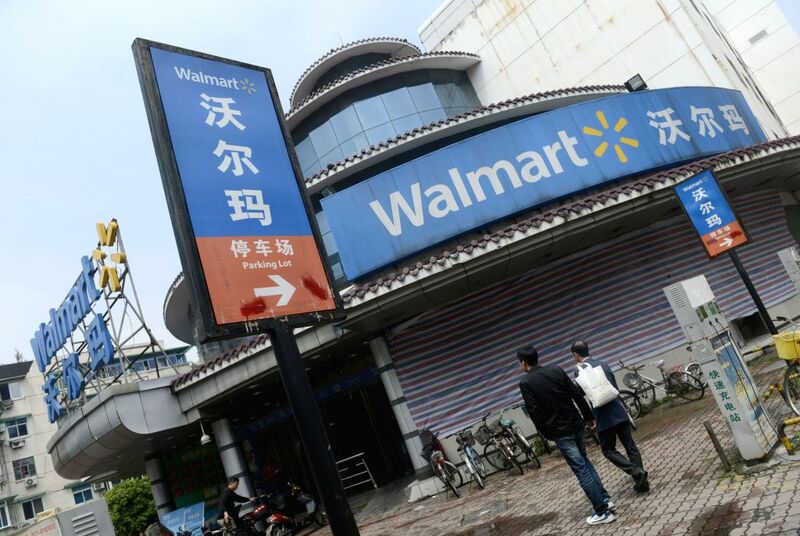 Walmart Stores, the world's largest retailer, decided to close the Zhaohui outlet in Hangzhou on April 23 due to its poor performance. Photo taken on April 22, 2014 shows the Zhaohui outlet of Walmart Stores which is to be closed in Hangzhou, capital of east China's Zhejiang Province.